Dull and boring are two words you probably would not pick to describe the goings-on in Canada's 38th Parliament. The 17-month-long session featured floor-crossings, allegations of scandal and more than a little name-calling. And for a few days in May 2005, the opposition parties got together to paralyze the workings of the House of Commons, refusing to let the government get any work done at all. 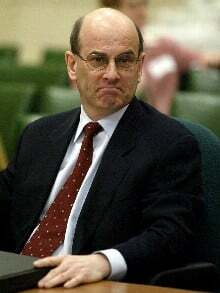 Sgro resigned as minister of citizenship and immigration in January 2005, two months after the ethics commissioner - Bernard Shapiro - opened an investigation into allegations that she helped a volunteer on her re-election campaign, Alina Balaican, a Romanian exotic dancer, get a temporary resident permit. As minister, Sgro had the power to grant temporary visas on humanitarian and compassionate grounds. Later, Sgro announced she would close loopholes that allow exotic dancers to get priority when applying to immigrate to Canada. It became known as the "Strippergate" scandal. On Jan. 14, 2005, Sgro resigned her cabinet post after a pizza shop owner accused her of offering to help him avoid deportation in exchange for free pizza and garlic bread for the staff of her re-election campaign. Sgro would later file a $750,000 lawsuit against Harjit Singh, accusing him of libel, slander and conspiracy. In February, Singh was deported to India. In May, he would recant his allegations against Sgro. A month later, the ethics commissioner would release his report on Sgro's dealings with the exotic dancer. He found that Sgro was in some kind of conflict of interest. Shapiro said Sgro did not intend to abuse her authority, but her chief of staff, Ihor Wons, put her in a position of apparent - if not real - conflict of interest, in his dealings with Balaican. Sgro did not return to cabinet before the 38th Parliament was dissolved. In the wake of the defection of Belinda Stronach from the Conservatives to the Liberals, word leaked out that the governing party had been looking for more recruits from the opposition benches. They were recordings made by Conservative MP Gurmant Grewal of his conversations with Health Minister Ujjal Dosanjh, the prime minister's chief of staff, Tim Murphy, and Sudesh Kalia, a Liberal supporter who acted as a go-between for Grewal and Dosanjh. News of the recordings broke at a critical period in the life of Paul Martin's minority Liberal government - just one day before a scheduled confidence motion that could have meant the end of the government. And in the days leading up to that vote, it looked very much like it would pass. On May 18, 2005, Grewal claimed that the Liberals promised plum postings for him and his wife, Nina, also a Conservative MP, if he would abstain from voting against the government in the budget vote, scheduled for the next day. Grewal said he secretly made audio recordings of the offers. He released an eight-minute audio segment of those recordings. The Liberals, though, had a different take on the affair. Dosanjh said it was Grewal who approached the government looking for senior appointments for himself and his wife. Dosanjh also said that Grewal came back several times when the Liberals rejected his initial demands. The Conservative party would later say Grewal was not authorized to secretly record any conversations. The CBC and Canadian Press both hired independent experts to analyze the tapes. Both experts concluded they had been altered. Grewal would later go on stress leave. 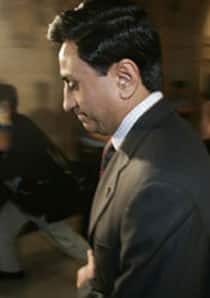 Troubles would mount for Gurmant Grewal: his office was accused of demanding cash guarantees to help foreigners seeking visas to enter Canada, though the ethics commissioner would clear him of conflict of interest allegations. Later in the summer, the RCMP announced there would be no investigation into the Grewal tapes. On Nov. 29, 2005, Gurmant Grewal announced he would not seek re-election. His wife, Nina, ran again and won in the riding of Fleetwood-Port Kells in a tight three-way race. Two days after the election, the ethics commissioner released a report that concluded there's no evidence that Dosanjh offered Grewal specific rewards if he would cross the floor. He also said it wasn't clear whether Grewal was looking for a reward to switch sides - or was out to entrap the Liberals. "The facts of this case have clearly not enhanced the public's confidence and trust in the integrity of the House of Commons and its members," Shapiro said in a statement accompanying the report. Shapiro added that Conservative Leader Stephen Harper couldn't find the time between August and November of 2005 to answer his questions - despite repeated requests. In the end, Shapiro spoke to one of Harper's aides. Shapiro could not determine at what point Harper knew Grewal was secretly taping conversations with Liberals. 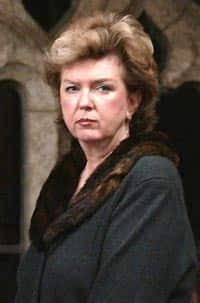 It took five months into the 38th Parliament for Paul Martin to decide he'd had enough of the outspoken Carolyn Parrish. After she taped a segment for the CBC comedy program This Hour Has 22 Minutes in which she kissed and then stomped on a George Bush doll, Martin kicked Parrish out of the Liberal caucus. It was the latest in a string of incidents in which Parrish had expressed less-than-fond feelings for the Bush administration. Less than two weeks earlier - after Bush won a second four-year term - Parrish quipped, "I wouldn't guess what's next on his agenda, but it's probably not peace and love." In August 2004, she suggested that people who support Bush's proposed missile defence system are a "coalition of the idiots." But the comments that may have hurt her standing in her boss's eyes the most had nothing to do with Canada's relations with its neighbour to the south. In the heat of the June 28, 2004, election campaign, she called her party's efforts a "comedy of errors." She said Martin should have waited until the fall to call an election. "It was like the Keystone Kops running around," Parrish told CBC Radio. Parrish followed up the doll-stomping skit with an interview with Canadian Press in which she said she had no regrets over her behaviour and wouldn't be silenced by Martin. "Every time he gets up and reprimands me, be it ever so gentle, it just feeds it and he looks like he can't control me, which he can't," she said. Parrish said she had "absolutely no loyalty to this team. None." "After what they've put me through and lots of my colleagues, they can all go to hell." Instead, she joined the ranks of the Independent MPs. While Dingwall hadn't sat in the House of Commons since 1997, he figured prominently in the opposition's attacks on the government of Paul Martin. Dingwall - a cabinet minister under Jean Chr�tien - was head of the Royal Canadian Mint, until he stepped down on Sept. 28, 2005. 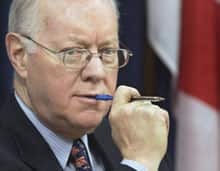 Dingwall had been accused of racking up expenses of approximately $730,000 in 2004, including one bill of $5,800 reportedly spent on one meal. It was also alleged that he made frivolous expense claims, such as for chewing gum. The Conservatives would later make much use of a video clip of Dingwall appearing before a Commons committee. He said, "I'm entitled to my entitlements." But he was talking about his severance package - not his spending habits while in charge of the mint. An independent audit found that 99.64 per cent of Dingwall's claims were legitimate. 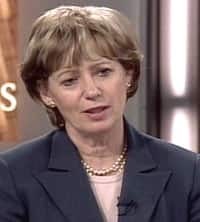 In January 2006, an independent arbitrator stated that when Dingwall was accused by the then-opposition party, he had "no support from the government regardless of the complete absence of wrongdoing on his part." Arbitrator George Adams found that "the departure of Dingwall was clearly involuntary" and he should have been paid "lawful severance entitlements." His report also stated "all of the expenses of Dingwall's office ($730,000 approximately) involving several other employees were being attributed to him. In fact, well over 70% of these approved expenditures related to the other employees and two subsequent independent reviews (subsequent to Dingwall's departure) confirmed the propriety of the expenditures and the governance mechanisms in place to approve and monitor such expenses." Adams ordered a $417,780 severance payment be made to the former Liberal cabinet minister and awarded him a $42,010 annual pension. Appointed by Paul Martin to get to the bottom of the sponsorship scandal, John Gomery cast a long shadow over the 38th Parliament. The inquiry and the explosive testimony of witnesses such as Jean Brault, Chuck Guit�, Jacques Corriveau and Paul Coffin deeply cut into Liberal support. The opposition parties said the revelations from the inquiry showed that the Liberal party was corrupt, arrogant and immoral. Less than four weeks after Gomery issued his first report - in which he concluded that Martin was unaware of what was going on with the sponsorship program - the opposition parties united to bring down the government in a vote of no-confidence.